BUSU has partnered with Toronto-based lawyer Alex Valova, of the Archer Law Professional Corporation, to bring free legal information to campus. Alex has appeared at all levels of court in Ontario, including the Ontario Court of Appeal, as well as various Administrative Boards and Tribunals. As a Brock graduate and former BUSU employee, Alex is excited to offer her expertise to the students of Brock at the Student Legal Clinic. You can learn more about Alex and Archer Law at their website, www.archerlaw.ca/. The Student Legal Clinic is closed for the year. We’ll be back next September. 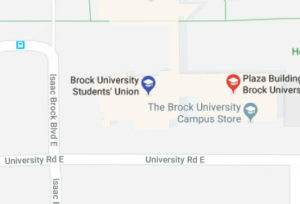 The Student Legal Clinic is unable to provide assistance or information on cases that are directly related to issues which you may have with Brock University or the Brock University Students’ Union (BUSU). Please note that appointments are on a one-off basis. Students can be referred to other services external to BUSU for further assistance. The Student Legal Clinic does not guarantee service from any third-parties. It is the responsibility of the student to arrange any services recommended to them. Please note that the Student Legal Clinic cannot assist students with the drafting and preparation of any legal documents, including affidavits, or any court or administrative tribunal/board forms. The Student Legal Clinic cannot assist or act on behalf of students at any hearings or court appearances. If your matter is an emergency, please contact the relevant authorities or retain private counsel, as necessary. The Student Legal Clinic is closed for the summer. We'll be back in September!